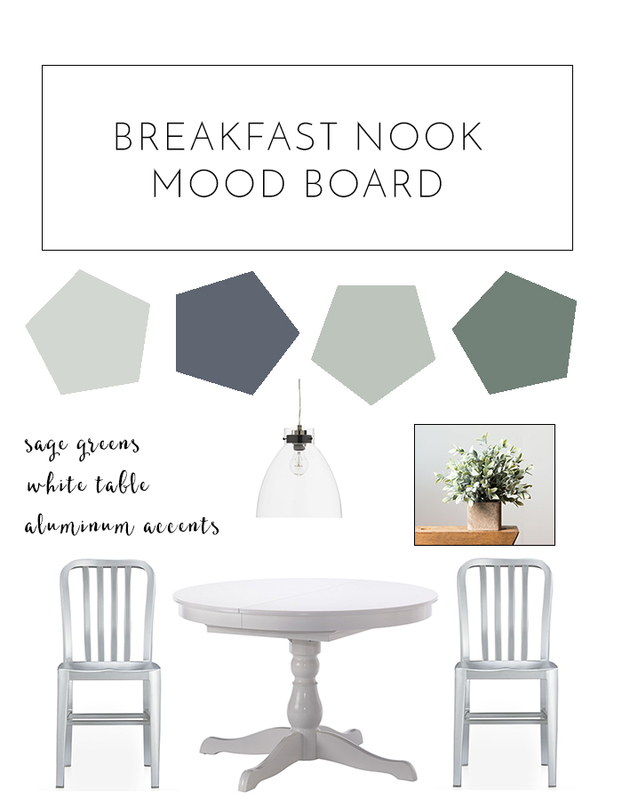 We are in the process of redoing our kitchen and breakfast nook. It's been on our list since we bought the house and we are slowly figuring out what we want to do in the kitchen without redoing the cabinets and countertops (I wish!). The majority of the walls is painted with Behr's Sweet Vanilla, a soft off-white. We want some color on the rest of the walls and are pretty set on a pale sage green. We also want to keep it fresh and modern with white and aluminum accents.